We are looking for experienced, dedicated, exceptional and reliable team members who enjoy delivering high quality child care to families living in and visiting the South Coast Region. We acknowledge and value the Professionalism you bring to the job. There is nothing more important than finding the right fit between Nannies and Families. We have the unique opportunity to be that go-between and we take our role very seriously. South Coast Nannies will present you with only the targeted job opportunities that are most likely to lead to a great match, and be the right position for you. South Coast Nannies encourages you to succeed as a Child Care Professional and the provider of In-Home Care. We work in consultation with you to determine exactly what kind of job you are looking for, offer guidance during the interview process, assist you with work agreements and offer advice when you need it upon, and throughout your engagement. We have an excellent range of opportunities, so whether you’re looking for part-time, temporary, full-time permanent or anything in between. The Working With Children Check (WWCC) is a prerequisite for anyone involved child-related employment. The first step is to complete your application online, and you will then be given an application (APP) number for your WWCC. The second step is to take your application number (APP) along with your proof of identity to a NSW Roads and Maritime Services. Find a location at www.service.nsw.gov.au/service-centre. At this time you will also pay a fee of $80. You will receive an email once the Working With Children Check has been cleared. 4 contactable phone references – 2 work related and 2 personal. 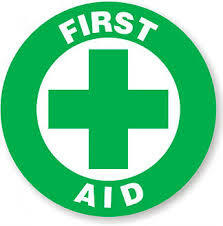 Update your First Aid Now! You are required to hold a current First Aid HLTAID004 and refresh your CPR qualification every 12 months to work with South Coast Nannies. We will contact you to obtain more information about your Child Care career to date, your experience and how our Agency may be of service to you. At this time, we will review your Child Care experience and education but also find out about your Child Care career goals, job preferences and what type of position or work you are looking for. This allows South Coast Nannies to assess your availability and areas of expertise. Based on your Pre-screen Phone Interview, we will decide whether to move forward and progress to the next stage of our two phase recruitment process. We will require you to provide the following supporting documentation in the Nanny Application Form. If your interview is successful and the required reference checks are cleared; a time will be arranged to discuss South Coast Nannies In-House Policies and Procedures for your role. We will then be able to place you on our books and send you out to interviews. We anticipate that your education and experience in Child Care will assist us tremendously in continuing to provide ‘peace of mind’ for the families of the local community and visitors to the area using the services of South Coast Nannies. We look forward to discussing your Child Care career to date and providing you with regular assignments in your chosen Child Care field and areas of expertise and based on your availability for work.